Known as an actor’s director, Lumet did the near impossible in the crime biopic Find Me Guilty: he drew out an awards calibre performance from action man Vin Diesel. The story of real life Mafioso Jackie DiNorscio was ripe for the big screen, with its landmark criminal trial (the longest mob trial in U.S. history) and DiNorscio’s comedic grandstanding in the court while defending himself. 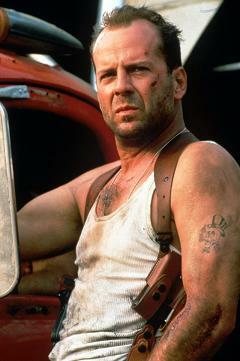 Under Lumet’s direction and Diesel’s impressive turn, Find Me Guilty became a one of a kind court room drama. 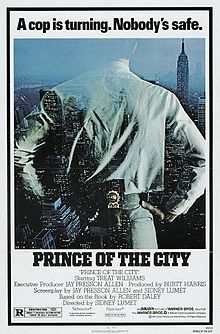 Lumet had already dealt with corrupt cops in Serpico, yet Prince of the City proved to be a different kind of police drama. In a dynamite performance, Treat Williams starred as Danny Ciello, a narcotics cop struggling with the backhand dealings of his profession and volunteers as an informant in an attempt to cleanse his soul. Filmed in his beloved New York City, Lumet brought forth the grit, paranoia and moral conflict found in this man’s struggle to obtain absolution. What is now Lumet’s last feature film would also be one of his finest. 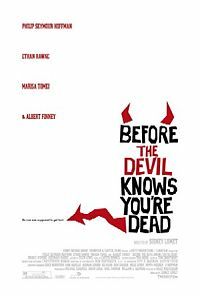 Featuring an all star cast, Before the Devil Knows You’re Dead focused on two brothers (Ethan Hawke and Philip Seymour Hoffman) who attempt to solve their money problems by robbing their parent’s jewellery store. Needles to say things go south, and with his filmmaking ingenuity and Kelly Masterson’s beautiful crafted script, Lumet would go on to make a tragedy infused morality play that left audiences reeling. 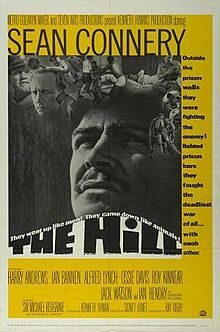 One of the great hidden gems in Lumet’s filmography, The Hill saw the New York filmmaker venture outside America with a mostly British cast, and return with a tense, powerful movie featuring a stunning turn by Sean Connery as one of five military prisoners subjected to brutal treatment by sadistic guards. As always a strong ethical theme resonates throughout. 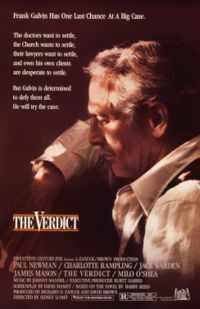 Any film that featured the talents of Lumet, scribe David Mamet, and actor Paul Newman should be considered must watch material, and that is exactly what The Verdict is. Newman’s turn as an alcoholic lawyer who is handed a controversial case is one of his best, taking on Mamet’s words and making them his own. Lumet in turn provides simple yet effective direction, capturing Newman’s mastery with subtle, single frame shots, with Newman’s final summation one of the great, rousing scenes in movie history. The serious alternate to Dr. Strangelove (in fact both films were released the same year), Fail Safe saw Lumet return to the constrictive environments which made his 12 Angry Men such a tense watch. 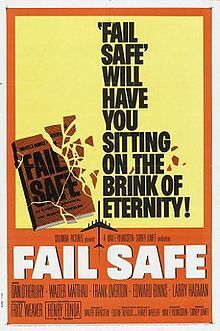 Yet instead of the one setting Fail Safe features several, with the film looking at the makings of a nuclear Armageddon from the eyes of the President (a suitably cast Henry Fonda), his chief of staff, and the bombers hovering over Moscow with a nuke ready to drop. Philosophies of war and much tense diplomacy follow. 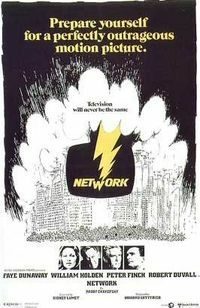 A prophetic examination into the ethical principles of television, Network is Lumet at perhaps his most ambitious. Headlined by an all star ensemble, the film looked at the how the on screen breakdown of a celebrated TV reporter (Peter Finch in his Oscar winning role) transformed a struggling station into an overnight sensation, and would go on to turn television into an exploitative and manipulative device of low moral standard, just like the majority of our programming today. 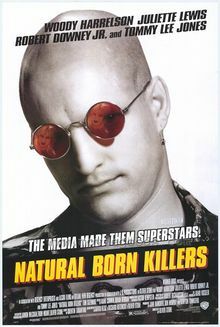 As directorial debuts go, it is one of the best. 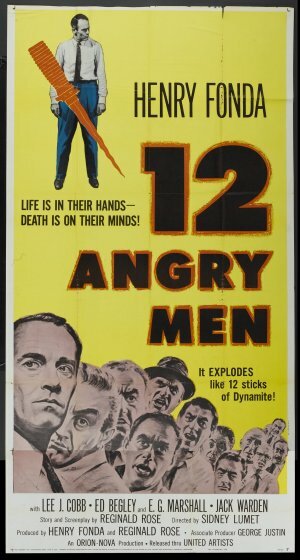 Lumet had built a reputation as a prolific TV director before taking on 12 Angry Men, a stirring courtroom drama which looked at the ease in which man can slip into prejudice, with twelve jurors debating the innocence of a teen accused of murdering his father. Henry Fonda provides the films moral centre as the juror who presses the need for more debate, Lee J. Cobb produces the heavy emotion, and Lumet captures it all to make thrilling, timeless cinema. 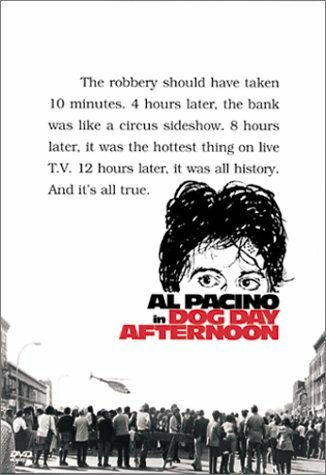 Lumet’s second and final collaboration with Al Pacino, Dog Day Afternoon proved that reality is indeed stranger than fiction. 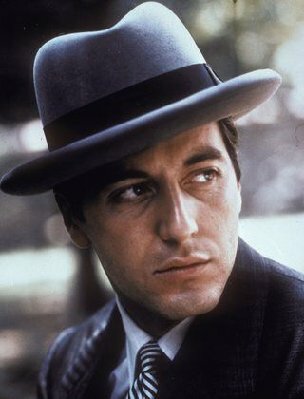 Based on a true life incident, the film starred Pacino as a bumbling bank robber who became a celebrity when his stick up of a bank quickly became a hostage situation, drawing the ire of every cop in New York City and the salivating media. Pacino delivers one of his best turns, while Lumet effectively mixes dark comedy with crippling tension, to go along with a commentary about celebrity in the TV age. If there is a single theme that resides high in Lumet’s work, it is that of righteous morality in the face of oppression. The true life story of Frank Serpico is a fine example of just that. Al Pacino starred in a brilliant, mesmerising turn as Serpico, a New York City cop who deflected the trappings of a corrupt system until he was forced to testify against his fellow officers. From the closed in walls of various police precincts to the streets of Greenwich Village, the ever observant Lumet captures the New York City backdrop which Serpico called home. Yet more important is Lumet’s dedication to presenting the many layers of this most unique of individuals with a bold, heartfelt clarity, making Serpico a biopic that strives for realism instead of airbrushed escapism. 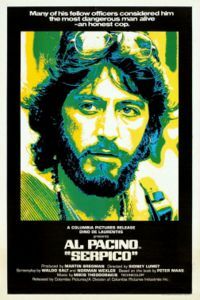 Brimming with emotion and honour, Serpico presents Lumet at his very best.